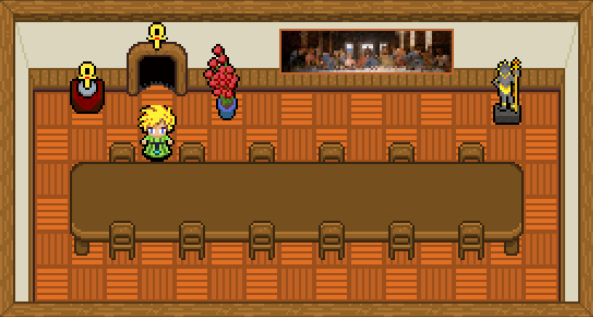 In the future, the room will still have a priest or novice sitting at the table eating, so a chair in that condition is missing. 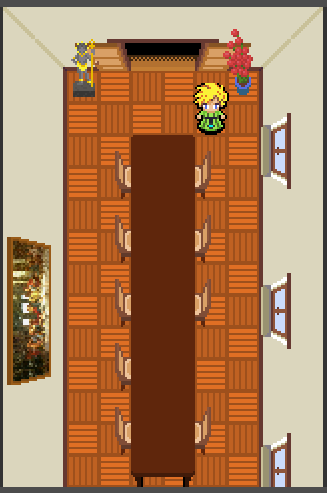 The dining room has changed the orientation, so you can also look at the wonderful picture in full. But the priest who ate here has disappeared. Well, a year has passed. But I&apos;m sure he&apos;ll be back soon.